Known formally as NGC 2237, the petals of the Rosette Nebula are actually what astronomers refer to as a “stellar nursery,” a massive, energy-rich molecular cloud brimming with nascent celestial bodies. The nebula owes its symmetric shape to the winds and radiation that emanate from its central cluster of young stars — many of which are only a few million years old. 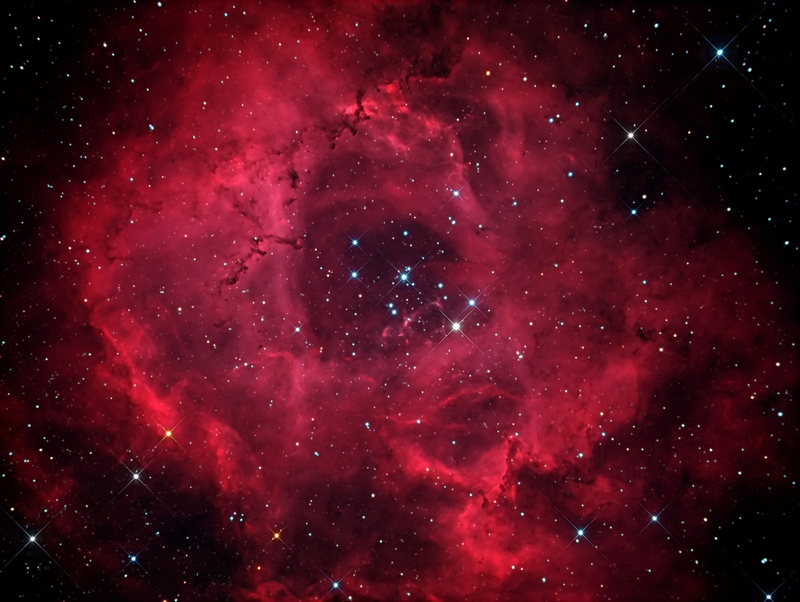 This entry was posted in Uncategorized and tagged beauty, rosette nebula. Bookmark the permalink.